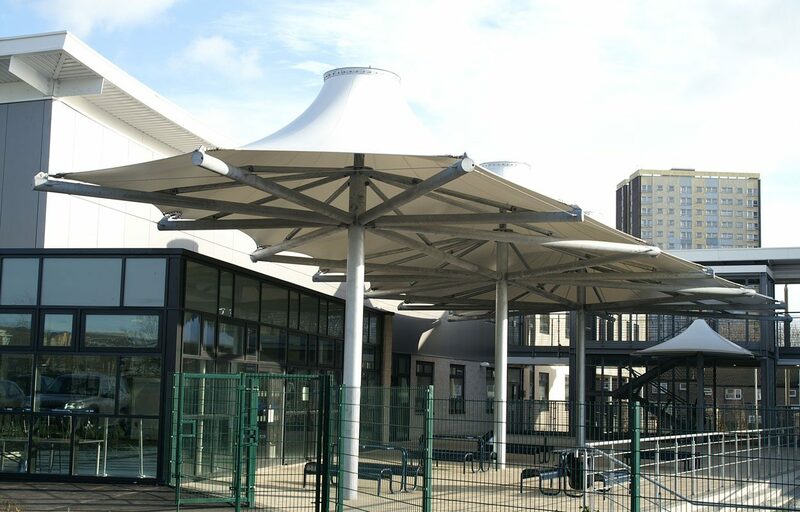 Large multi conic tensile fabric canopy for school in Yorkshire. 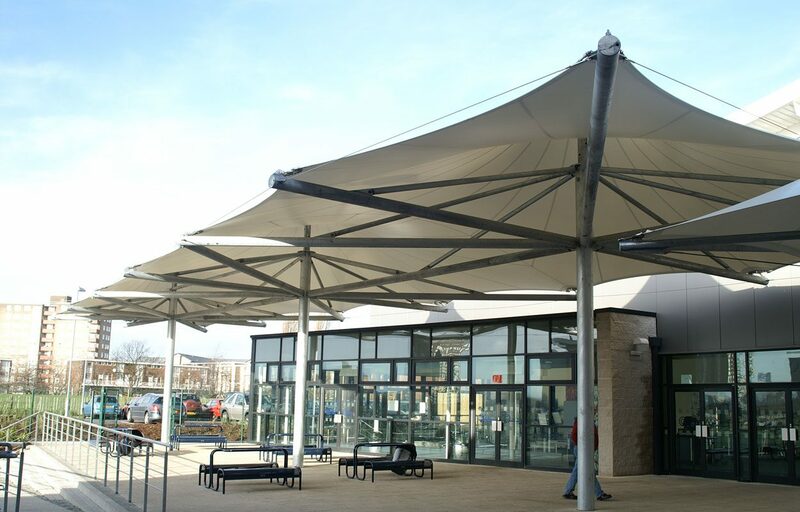 As part of a wider project for the school Fordingbridge designed and built this large triple conic tensile fabric canopy to create a covered outside space. 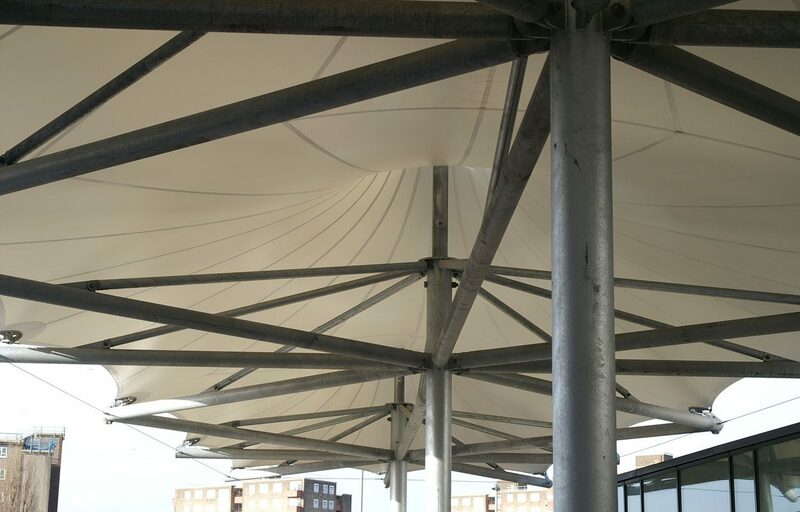 Interestingly, the canopy for this project had to be tapered at one end in order to fit into a constrained triangular site. 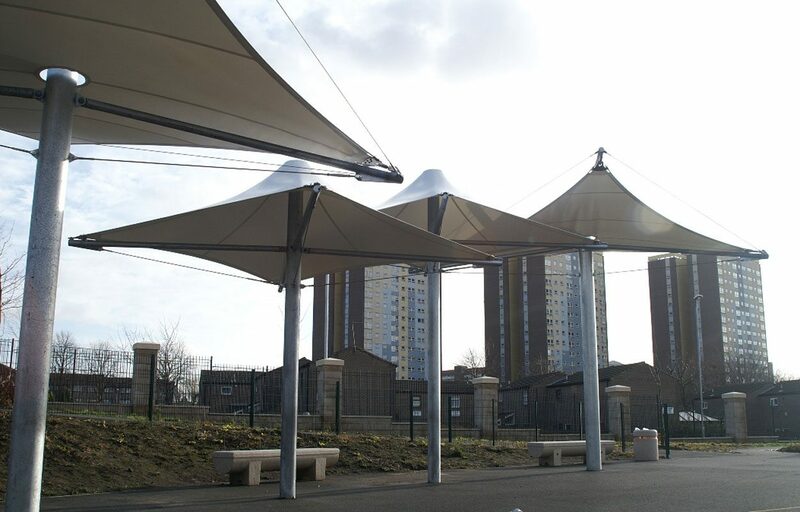 In total we designed and built 15 tensile canopies for the school including 8 hypar structures to the rear. 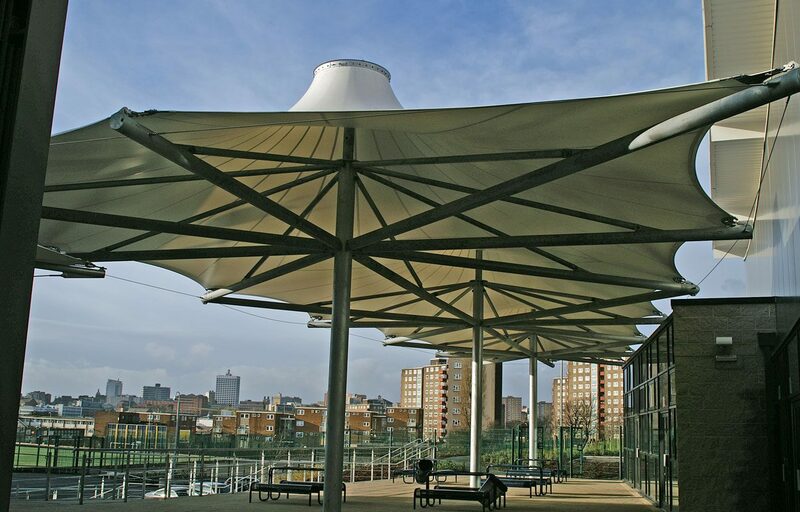 The bespoke triple conic tensile canopy successfully creates an aesthetically pleasing environment for students and staff to dine and socialise in. 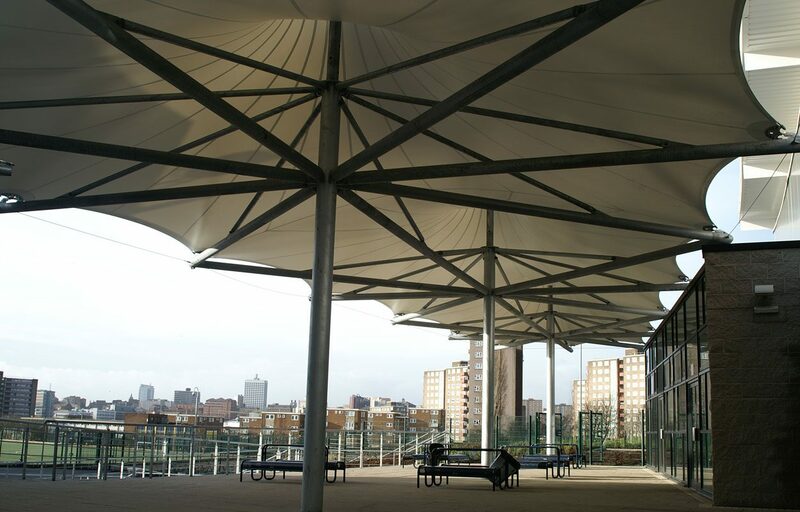 The Ferrari precontraint roofing solution has excellent opacity, high UV resistance and exceptional longevity. In terms of the fabric, this is top coated to extend its life and enhance its self-cleaning properties. All of the steel used for our structures is CE marked. The CE marking is required for many products and attests the verification by a manufacturer that these products meet EU safety, health or environmental requirements.